We are asked by Incorporated Association Jigubozon ( means “Earth Conservation” in Korean) in South Korea (under the jurisdiction of Ministry of Environment of South Korea) to share this info. Click HERE to download this document (MS word file). B. E.C.M.U. is an official non-governmental organization(NGO) for international development. We are carrying out projects for environmental protection and life respect by educating the young generation. 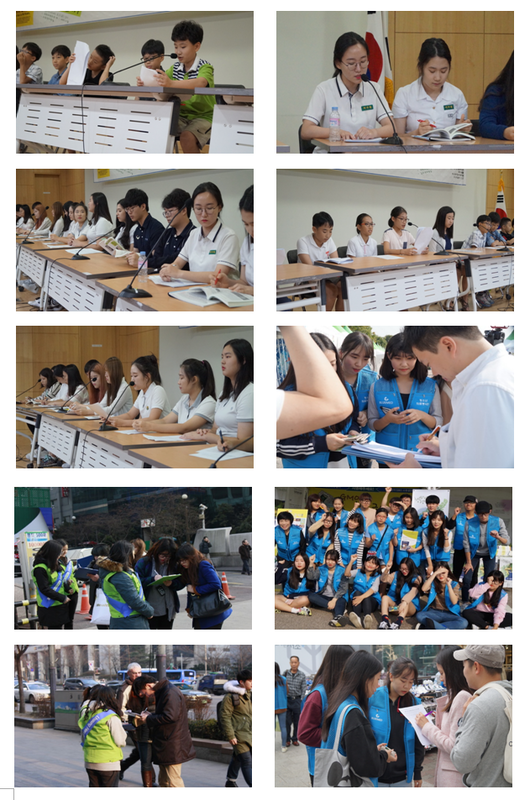 C. We are actively supporting activities for animal protection done by South Korean youth. We therefore demand your support, and invite your group and animal protection activists to the International Forum for Korean animal law enactment. g. Contact: Bo-Gyu Park / Cell Phone 82-10-5645-6113, Phone 82-70-4799-1004. 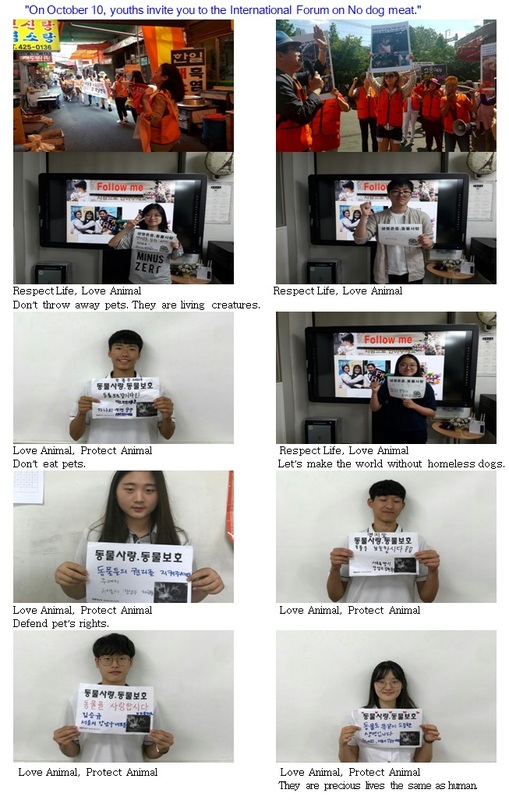 Declaration of Animal Love by S. Korean Youth is an international forum for life respect led by E.C.M.U. We would like to support S. Korean youth who would be the next global leader by enhancing their ability for international exchange and fostering their active participation. E.C.M.U., as an NGO for international development, have been running many businesses to practice environmental protection and life respect through education. 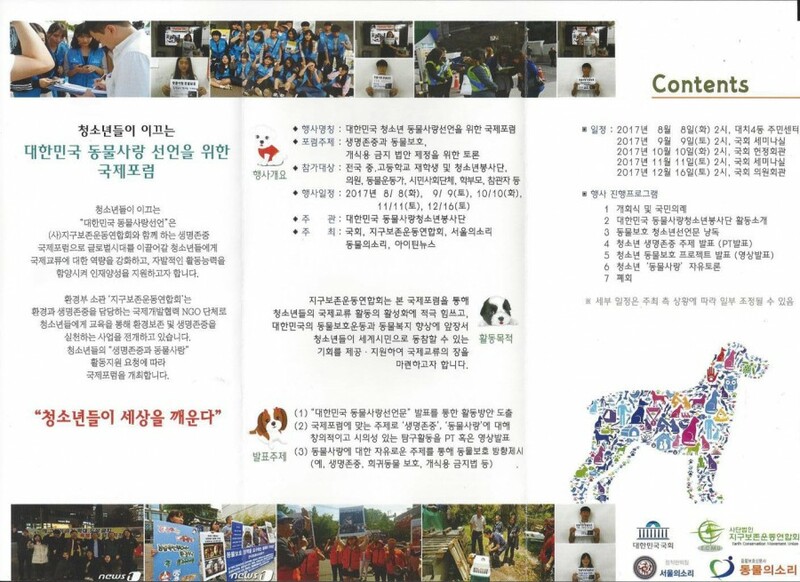 As a request of life respect and animal love by youth, we are hosting an international forum with hope to improve animal protection law and animal welfare in South Korea. This is an opportunity for S. Korean youth to work as a global citizen and to explore the scene of international exchange. Topic: Animal protection, respect for life and discussion for enactment of animal law. 3. National animal protection activists demand ‘animal protection policy’ from ruling party. 4. “Let’s not eat dogs” HSI, campaign to stop dog meat ahead of -Chobok. 6. Let’s make special laws of ban slaughtering dogs and cats. Animals to live a happy life with us. Animals to have a better life in Korea. Animals to be treated as our family members. S. Koreans have been eating dog meat from the past, and this bad habit has not disappeared. In the global era, the dog meat has been banned in almost all countries along with desires for animal protection; however, countries such as Korea, China, Vietnam, and Philippines have not yet reached this level. In Korea, too, many people are trying to change these immoral practices by taking the importance of protecting animals. 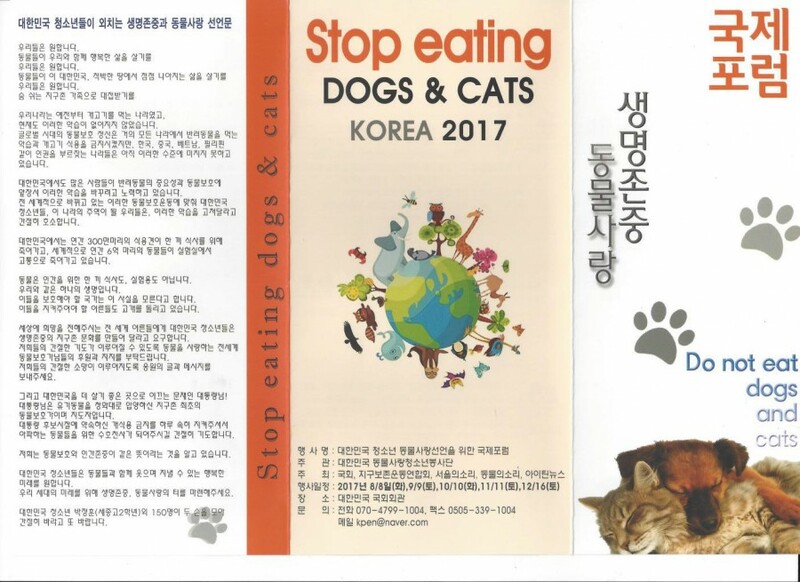 In response to this global animal protection movement, Korean youths, who will be the protagonists of this country, are eager to fix these bad practices. 2.5 million dogs are slaughtered annually for a meal in S. Korea, and each year 6 million dogs suffer from animal testing in the world. Animals are not for human, nor for experiment. They are the living creatures that we should respect. However, this country who is obliged to protect them denies their duty. Adults who are supposed to be the leaders are turning their back. To all adults around the world, Korean youths demand for a global community where everyone respects life. We would like to ask for your support so thus accomplish our goal. Please send cheer letters and messages to help us fulfill our desires. Dear President Moon, who leads Korea to a better place to live! You are the first leader who have adopted the abandoned dog in the Blue House. We want your active support that you promised during the days of the candidate. In that way, we will finally be able to reach mature civic consciousness. Animal protection and human protection are not separable matters. Korean youths want a joyful future with animals. Please provide a place of respect for life for the future of our generation. Please prepare a place where animals can be protected for the future of our generation.